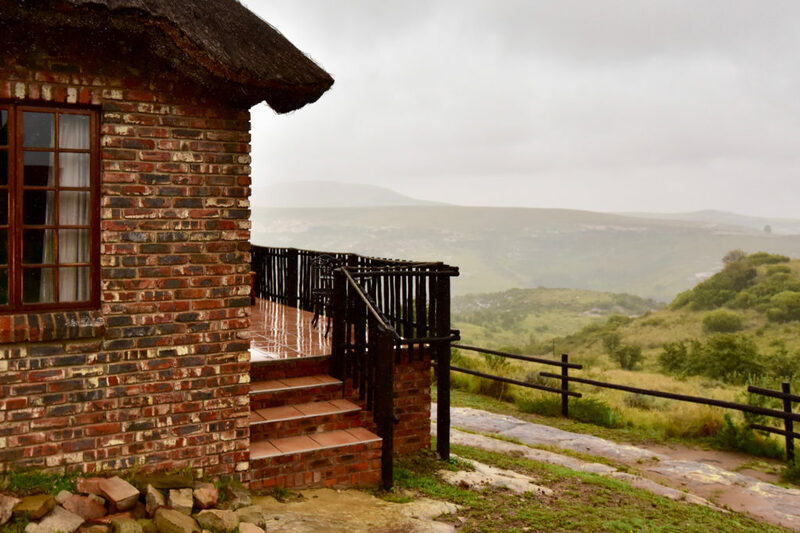 The accommodation we have to offer is made up of 4 Standard double-storey chalets for couples and families, 2 deluxe double rooms for singles/couples and a deluxe suite. 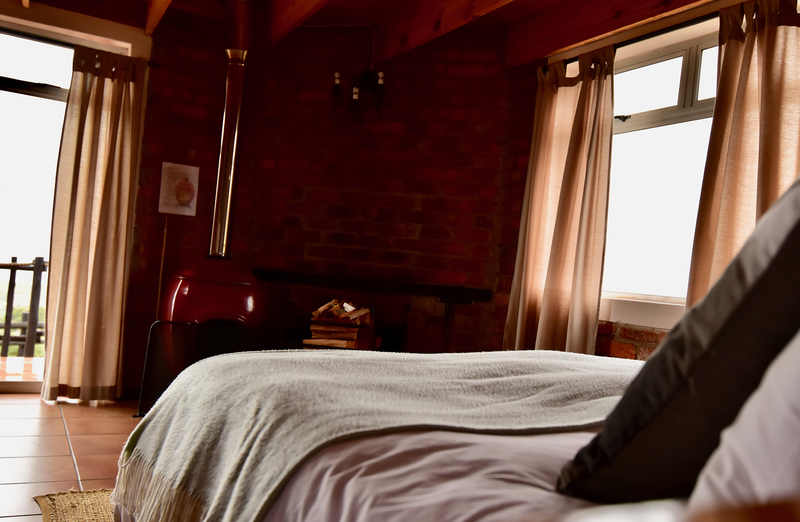 Our free standing double storey chalets are extremely popular with couples and families alike. 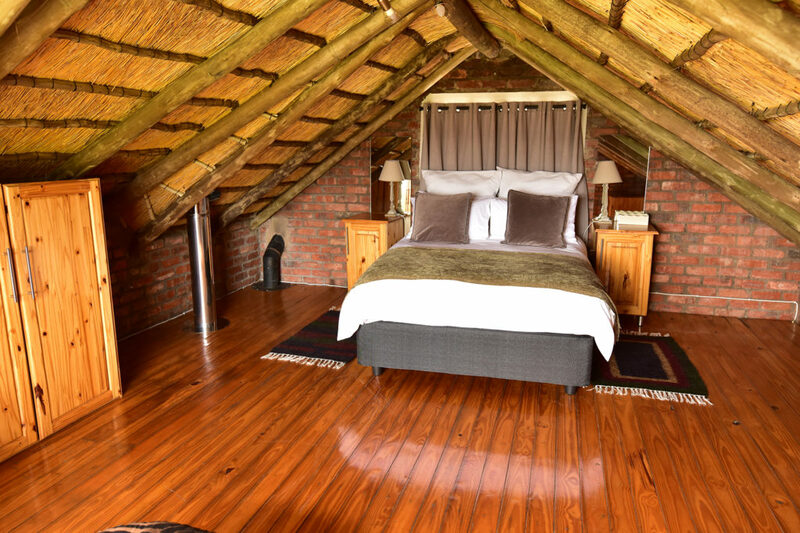 With a thatch roof and attic bedroom the unit is extremely charming. 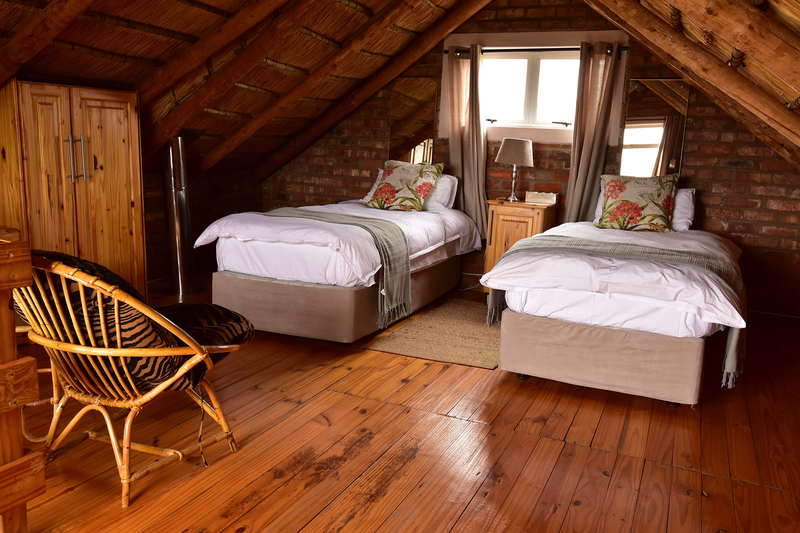 There is a double bed in the attic bedroom and two single beds downstairs. 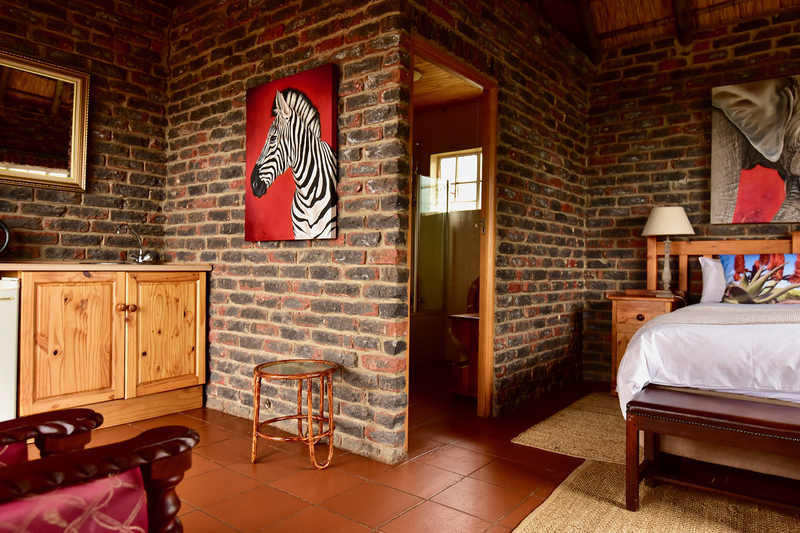 The bathroom situated on the ground floor has a shower only. 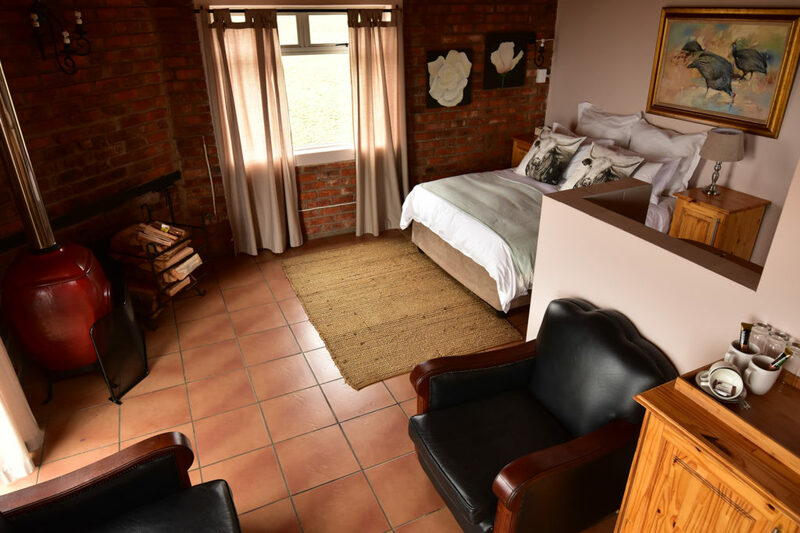 Due to not having separate bedrooms and having to share a bathroom this unit is suited to either a couple or a family with young children. The suite has a private balcony with lovely views and a firepot is located on the ground floor. 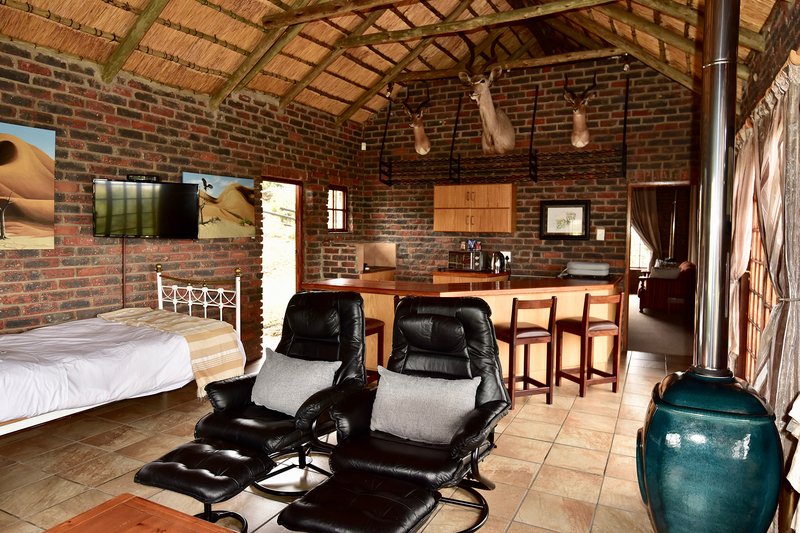 The chalet has a small fridge and kettle but please note it has no TV. 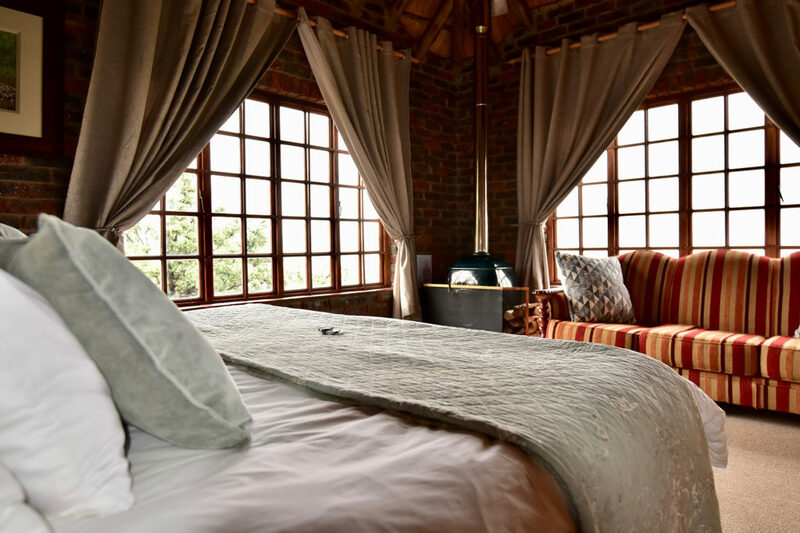 These rooms offer privacy with beautiful views over the countryside and mountains. Each room has it's own private balcony with a table and chairs to enjoy the views and a fire pot in the bedroom for cooler nights. 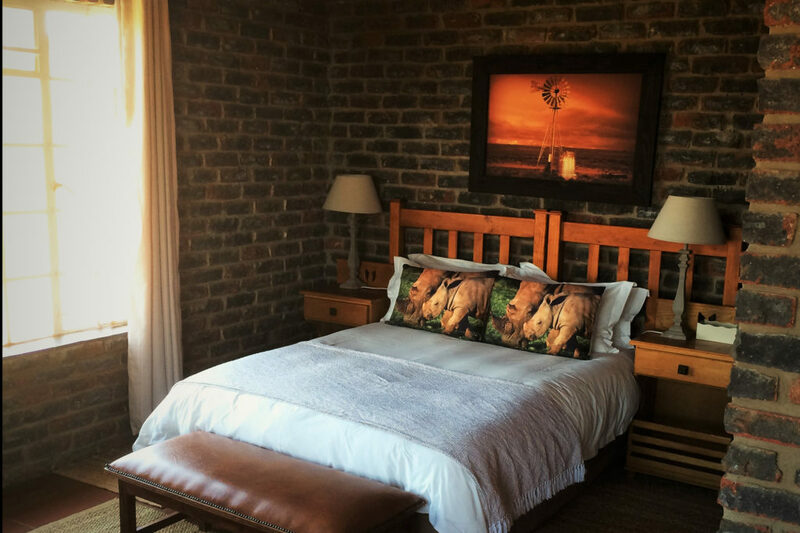 The rooms have a double bed with luxury linen and a full en suite bathroom. 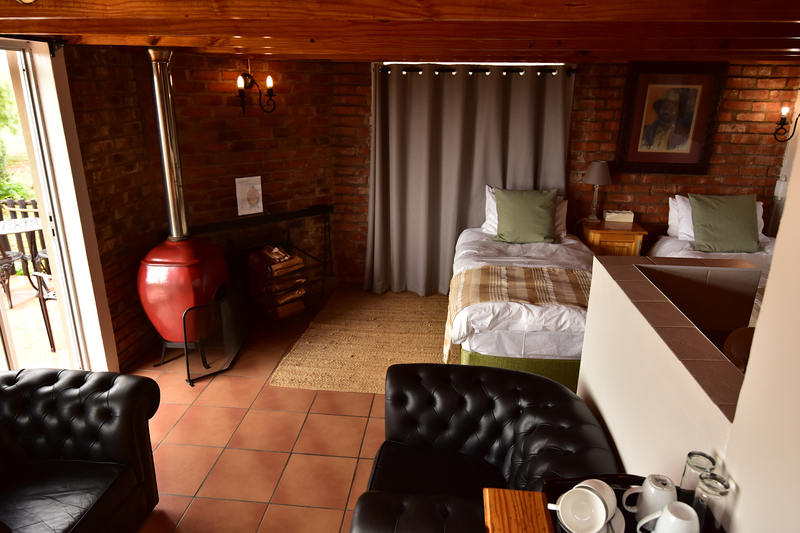 It is also equipped with a flat screen TV with DSTV hotel package, a fridge and a kettle. This chalet is the largest at our lodge and is suitable for a couple. 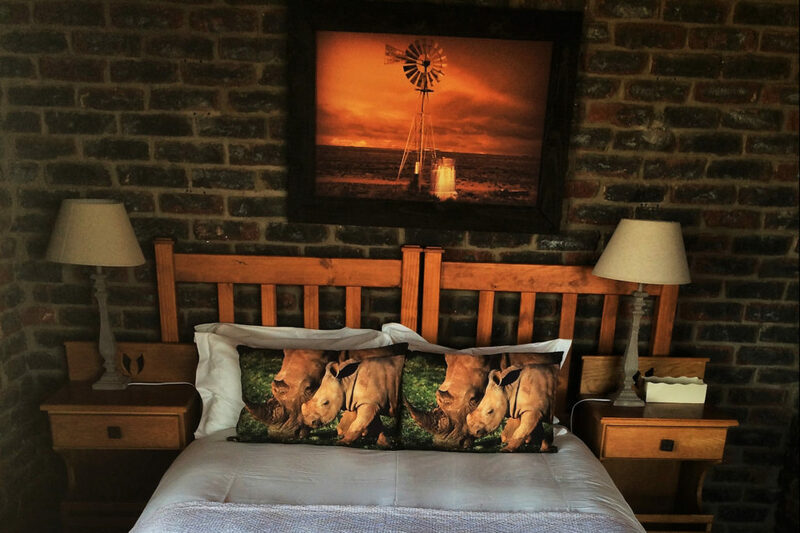 We are also able to add additional beds into the unit for small children. 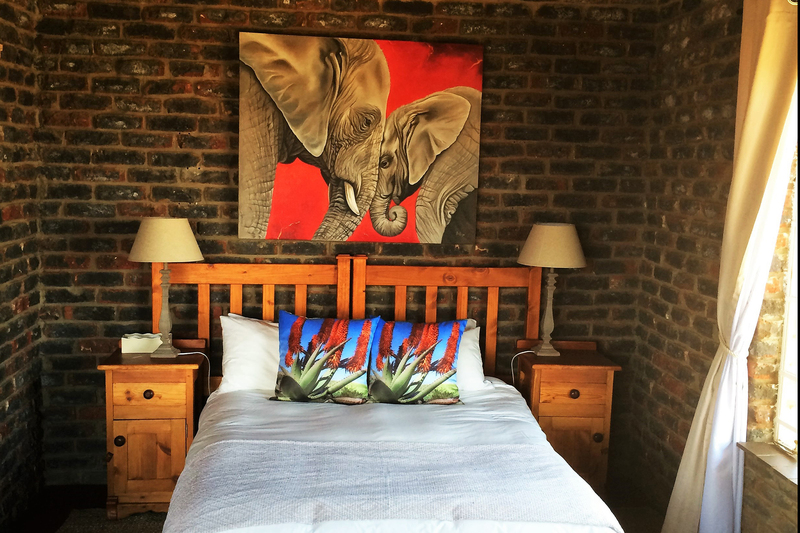 The suite is decorated with the feel of an African game lodge with African art and memorabilia. 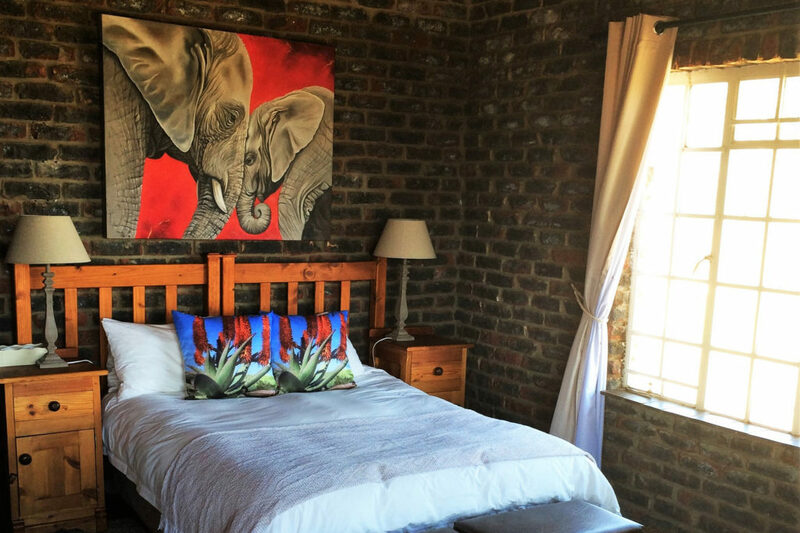 It has a large separate bedroom with a king size bed with luxury linen, a firepot and full en-suite bathroom. 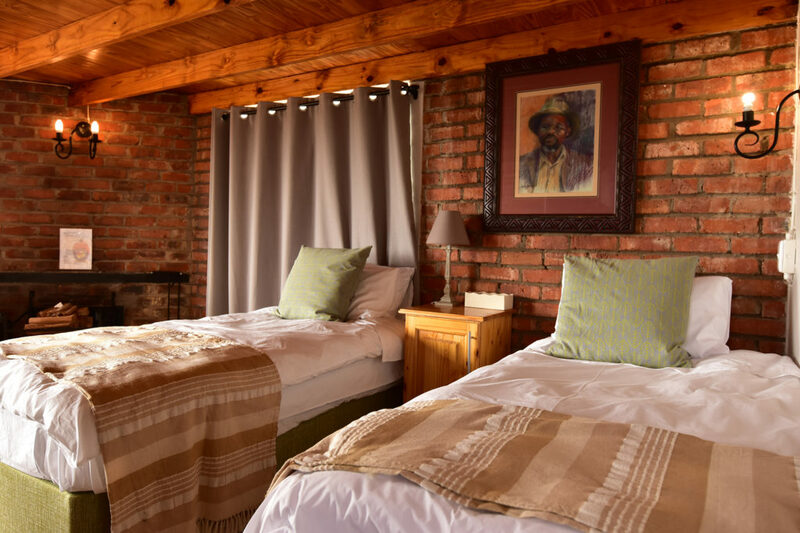 The large living room has a firepot, flat screen TV with DSTV hotel package and leads out onto a private balcony with fantastic valley views. 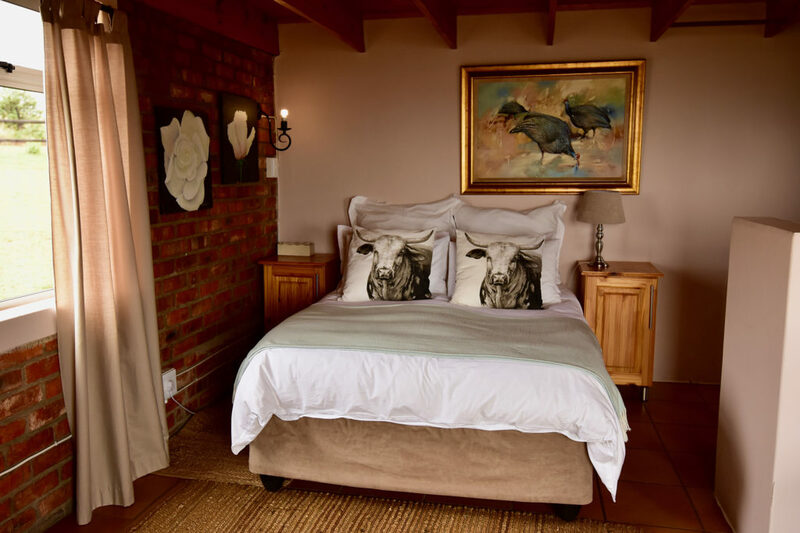 This suite is ideal for those looking for more privacy with the opportunity to relax in your own private lounge area with a good book or a game of cards with ones loved one.